Former Labor Secretary Elaine Chao will be President-elect Donald Trump’s transportation secretary, Mr. Trump’s transition team announced Tuesday evening. Chao, who served as labor secretary under President George W. Bush, is the first Asian-American woman to ever hold a Cabinet-level position. She served in the role from 2001 to 2009 — the only member of Bush’s Cabinet to serve through his entire eight years in the White House. Before serving as labor secretary, Chao ran the United Way of America, was director of the Peace Corps and served as deputy treasury secretary under President George H.W. Bush. Born in Taiwan, Chao moved to the United States when she was eight years old. 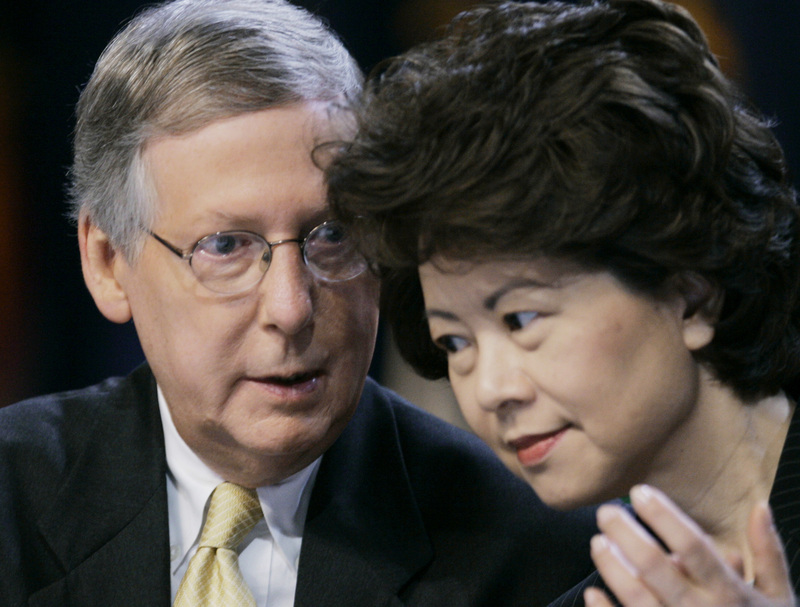 She is married to Senate Majority Leader Mitch McConnell (R-Kentucky). This is the latest in Mr. Trump’s Cabinet and staff announcements. In recent weeks, he has also tapped Betsy DeVos for education secretary, Sen. Jeff Sessions as his attorney general, Lt.-Gen. Michael Flynn (ret.) as his national security adviser and Rep. Mike Pompeo to lead the CIA. There are just over 4,000 political appointments to be made by the incoming Trump administration. About 1,200 of them will require Senate confirmation — the Cabinet secretaries and their deputies, as well as those appointees who will head independent agencies, like the CIA and EPA, for instance. These nominees will go through a vetting process and Senate hearing.